International bestselling author Peter Robinson has put together a marvellous collection of 15 brilliant crime stories, including one of his own. These gripping stories will surprise and delight readers, and, occasionally, scare the living daylights out them. 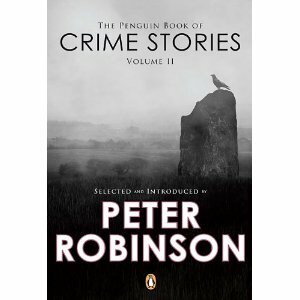 The Penguin Book of Crime Stories is a must-read collection featuring writers with a razor-sharp talent for crime writing – Robert Barnard, Mark Billingham, Michael Connelly, John Harvey, José Latour, Laura Lippman, Mary Jane Maffini, Sara Paretsky, George Pelecanos, Ian Rankin, Peter Robinson, Rob Sawyer, Peter Sellers, Karin Slaughter, and Eric Wright.